WINONA LAKE — Two were arrested after officers conducted a traffic stop and discovered drugs in a vehicle. 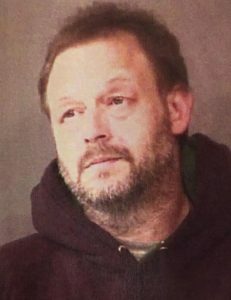 Keith Allen Cone, 44, 1582 N. SR 15, Wabash; and Tabitha Marie Davis, 34, 602 S. McClellan St., Warsaw, are each being charged with possession of methamphetamine, a level 6 felony; and possession of paraphernalia, a class C misdemeanor. On Nov. 17, an officer with the Winona Lake Police Department was on patrol and observed a vehicle traveling 20 miles per hour in a 30 mile per hour zone. The officer followed the vehicle and noticed the vehicle make multiple turns in order to avoid being followed. According to the affidavit of probable cause, the officer conducted a traffic stop and identified the driver of the vehicle as Cone and the passenger as Davis. A K-9 unit made a positive alert to illegal drugs in the vehicle. Officers conducted a search of the vehicle and discovered a plastic straw containing a white residue that tested positive for methamphetamine. 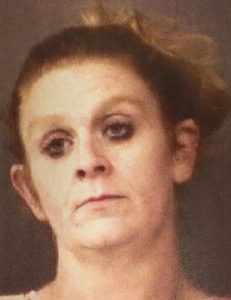 Davis advised she was in possession of methamphetamine. A plastic bag containing white residue was located on Davis’ person. Davis said the meth belonged to both her and Cone. Both Cone and Davis have been arrested and released on their own recognizances. Both have an initial hearing at 8:15 a.m. Jan. 3, 2019, in Kosciusko Circuit Court.